It is a well-known fact that no product can provide a 100 percent cure for hair loss. However, the Jamaican black castor oil is continuously rising into popularity due to its ability to deliver solid hair growth results. The process of extraction of the black castor oil is different from the other castor oils in the market where fresh seeds are put under pressure to provide the oils. The seeds of the Jamaican black castor oil first undergo roasting before pressing hence increasing the alkalinity of the oil making it work better on the scalp. To get the best results, you need to use the best castor oil in the market. After intensive research, here are the top three Jamaican black castor oil that you can use to improve the quality of your hair. The iQ Natural Jamaican Black Castor Oil is 100 percent raw natural and effective. It is made by iQ Natural, a company that is dedicated to developing excellent hand-crafted cosmetic formulas from natural and certified organic ingredients. 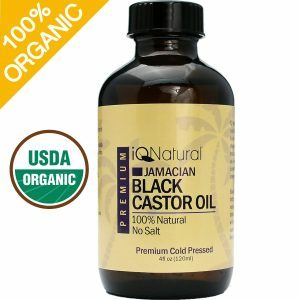 The iQ Natural Jamaican Black Castor Oil comes from natural raw castor oil that is not refined. The natural ingredients give the oil its conditioning ability allowing it to effectively work on all hair types without any unnecessary side effects. It is packaged in dark amber glass to protect the oil from exposure to the sun rays. The bottle also has a clear label with the name and a precise method of using the oil. The Jamaican Black castor oil is a premium product made from high-quality natural ingredients that give you the guarantee of delivering excellent results. You only need to use a dropper and apply the black castor oil on the scalp of the head then spread it across by performing circular massage motions. It helps to boost the circulation of blood in the scalp hence promote the growth of hair. Regardless of the hair type, the Jamaican black castor oil conditions and strengthens the hair. It especially works amazingly well on the eyebrows as well as the skin. It enriches the hair color as well as moisturizes the skin. The Tropical Isle Living has been in the market for 25 years providing only high-quality products from the finest ingredients and essential oils that are sourced responsibly. 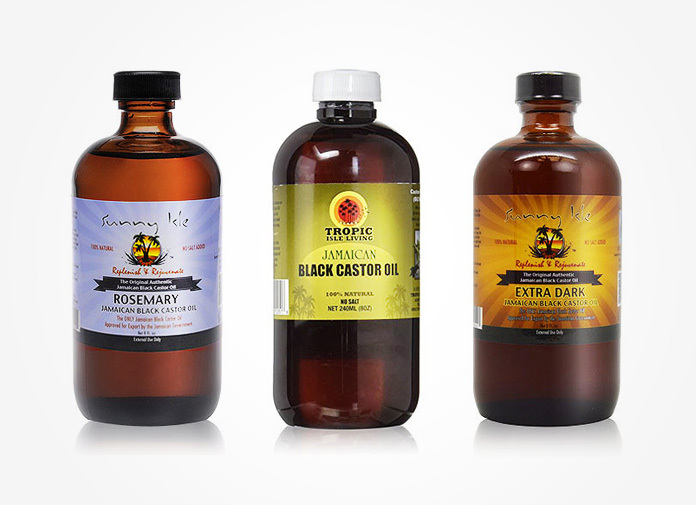 The Tropic Isle Living Jamaican Black Castor Oil does not contain any harmful substances or fillers. It has a light to dark brown color that arises due to the old-age traditional process that is used to make the oil. 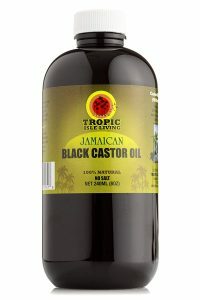 The Tropic Isle Living Jamaican Black Castor Oil is the only castor oil with a brown color. It as well has a burnt nutty scent that arises due to the preparation process as well. The Oil is packaged in a dark amber glass protecting it from the sun’s rays. It has a well descriptive label that indicated the name, the ingredients in use, the amount in the bottle and what it can help accomplish. The 8-ounce bottle can last for a long time providing you with hair care as well as skin care properties. It helps to make the hair strong and healthy as well as prove the skin with a protective coating that conserves the moisture content. 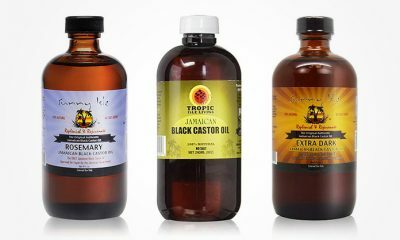 You can use the Tropic Isle Living Jamaican Black Castor Oil to help with many other applications apart from helping to increase hair growth and as a scalp treatment. You can as well use it as an all-purpose healing oil to treat cuts, wounds, burns and to soothe muscle pains. The Jamaican Mango Black Castor Oil Coconut delivers amazing results to your hair within a short time. The oil is designed to prevent breakage of hair and to provide relief to the scalp. Compared to all the other Jamaican black castor oils, the Jamaican Mango & Lime Black Castor Oil has one of the best scents that stays on your hair throughout the day. The oil makes up only consists of natural ingredient making it suitable for use on any hair type without causing any unnecessary side effects. It has a light consistency that allows you to use it without introducing any other substance to dilute it. The viscosity as well makes it easier to rub in the hair and on the skin as well. You can use the Jamaican Mango and Lime Black Castor Oil, Coconut on the hair to improve the growth of hair and prevent breakage as well as to relieve an itchy scalp. The black castor oil may as well be used for aromatherapy. The 4-ounce oil comes in a dark amber glass that keeps the castor oil safe from the rays of the sun. It has a tight lid that prevents the oil from pouring. The results of the Jamaican black castor oils exhibit are self-explanatory. The Black Castor oil can stimulate the growth of hair as well as increase the thickness in thin areas. The oil is extremely beneficial in situations where you are experiencing temporary hair loss. However, if the hair loss is due to genetic reasons the results may not be visible. Even then, the Jamaican black castor oil will still improve the strength of the hair.